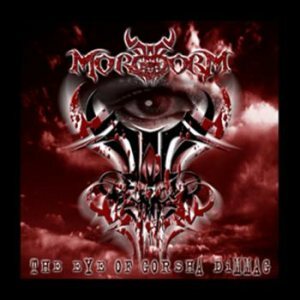 RANDOM: MORGGORM "The Eye Of Gorsha Dimmag"
This album was released in 2007, suffice to say that MORGGORM has been doing it earlier than the current crop of thrash Metal revivalist in Malaysia. "The Eye Of Gorsha Dimmag" can be safely described as a straight thrash Metal album. No gimmicks, no theatrics, just some pure thrash Metal adrenaline. And the word 'straight' is as straight as it can be. They want to thrash, and thrashing is all they ever did here. No surprises, no shocks. And it is not all dark and gloomy for MORGGORM when Metal is concerned. They know how to have some fun with their thrash too. This is evident in some of the songs, where parts of rocking riffs were used in tandem with those intense ones. The song titles reflect this as well. Apologise if I misinterpret them, but they seems to be not all that serious every time (song titles, not the band). Aided by owning a studio that other bands used for recordings as well, this shows in the productions of the album. I'm sure it is still available from various distros, so if you're in for some thrashing vibe, "The Eye Of Gorsha Dimmag" is one of the option.